Whenever we write, we become attached to our writing, and it can then be difficult to review our work objectively. Why am I writing this? What do I want this to achieve? Who will read this? How familiar will they be with the subject and the terminology? What is my call to action? What do I want my readers to understand or do? That’s where an editor can help. Editors haven’t as much invested in the document as does the writer: editors want to help you achieve your writing objectives. Editors maintain a distance and can see both the overall picture and the details. This allows me to check that you have answered those three basic questions. Editors review the logical progression of your argument, the flow of the story you’re telling. Editors check that your language style, use of specialised terms and illustrations are appropriate to your audience. Editors assess the effectiveness of the presentation of your document and its readability. Editors deal with the ‘nitty-gritty’ – spelling, grammar, punctuation, consistency of headings, fonts, colours, terminology, etc. So often it’s our familiarity with our writing that hinders us from delivering our message as clearly and succinctly as we can. Perhaps we’ve struggled to find a word that exactly fits, or a better way to express a concept. always respects your voice – you still want your writing to sound as though you’ve written it. only makes suggestions – if you don’t like the suggested change, you don’t have to accept it. works with you to create an extraordinary document. Your editor is your collaborator. While a trusted colleague will often contribute valuable advice, it’s the editor’s experience and expertise in how ‘writing’ works, rather than the subject area, that gives that extra sharpness to your writing. 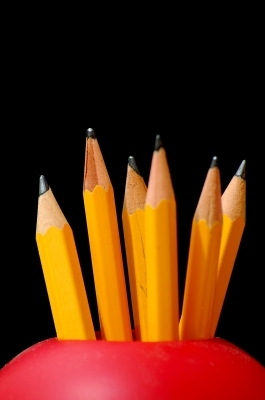 More tips to sharpen your writing are always available on my website. Do you have any experiences (good or bad) with an editor that you’d like to share? Next ›Setting my teeth on edge! I don’t know what else to add other than – I vouch for this post! When I look at the before and after of the work you’ve edited, the value, clarity and crispness speaks (reads) for itself! Thanks, Sally, for your comments. Delighted that you have experienced for yourself how I add value to your writing. I get quite a buzz seeing the ‘before’ and ‘after’ versions.